An African safari vacation helps you recall what it is like to be amazed, what it means to be relaxed, what the thrill of discovery feels like and the warmth of a hearty welcome. Each day on an African safari holiday brings new perspectives and experiences — rolling savannahs, sparkling lakes, snow-capped mountains, vast deserts, lush forests, colourful tribal cultures, romantic beaches and wild animals in the thousands. Whether you’re looking for big-5 adventure, a classic safari with family, a honeymoon or a beach retreat, an African safari vacation can offer that and much more. The African continent is vast and the regions that are popular with African safari vacation are East Africa and Southern Africa. Many first-time safarigoers often wonder what are the differences between East Africa and Southern Africa. Is one region better than the other? The answer depends on what you want to do and see. 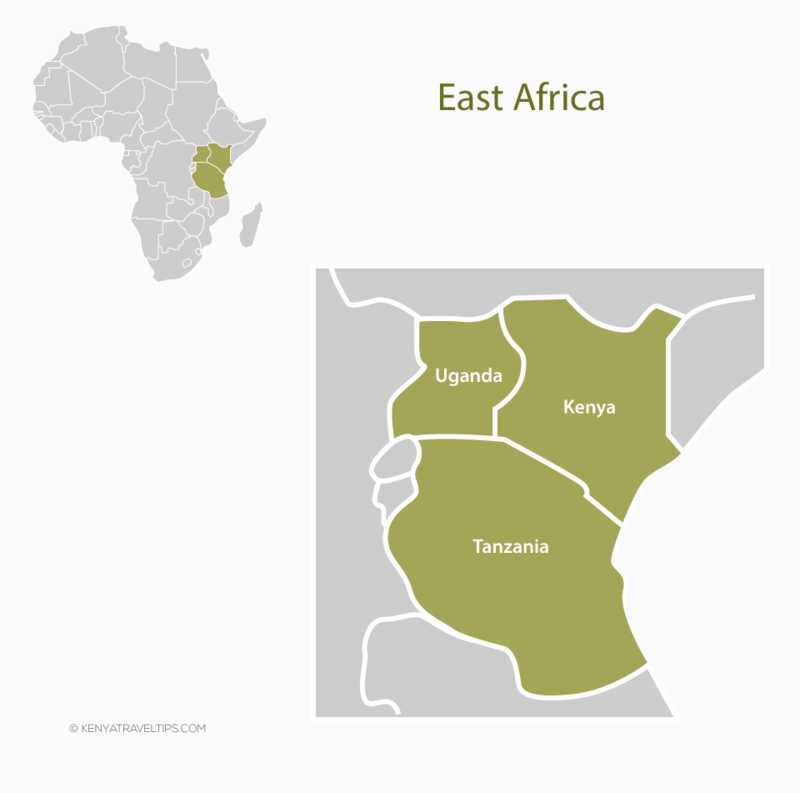 The countries that are popular with African safari holidays in East Africa are Kenya, Tanzania and Uganda. 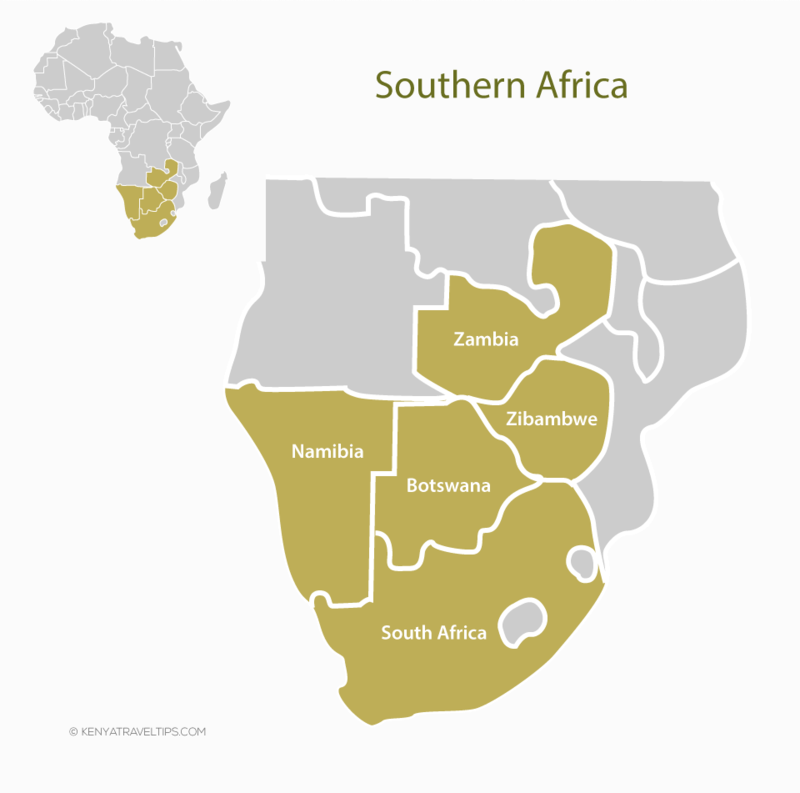 Countries that are popular with African safari holidays in Southern Africa are Botswana, South Africa, Zambia, Zimbabwe and Namibia. There are all inclusive scheduled private and group African Safari tour packages to popular safari destinations in East Africa and Southern Africa. You can also submit an inquiry for a tailored African safari vacation. Kenya is a top African safari vacation destination. It offers diverse wildlife and a wide variety of habitat and scenery. The Masai Mara National Reserve offers excellent year-round game viewing and it is the setting of the annual great wildebeest migration. Kenya is recommended especially for those taking an African safari for the first time. The country has an efficient tourist infrastructure with a dazzling choice of lodges and camps to suit all budgets. Holidaymakers in Kenya can experience the Masai and Samburu people whose way of life has remained unchanged for centuries. Other popular safari destination in Kenya are Lake Naivasha, Amboseli and Mount Kenya. Palm-fringed beaches at the coast offer a perfect place for a relaxing beach holiday. Tanzania has three safari circuits namely, the Northern circuit (the Serengeti, Ngorogoro Crater, Lake Manyara NP, Tarangire NP and Arusha NP), the Southern circuit (Selous Game Reserve, Ruaha NP and Mikumi NP) and the Western circuit (Gombe NP, Mahale Mountains NP and Katavi NP). The Northern circuit is the most popular and offers one of the best classical safaris in Africa, especially if timed with the annual wildebeest migration. Off-the-beaten-track safaris can be had in Selous and Ruaha parks and chimp tracking in Gombe and Mahale Mountains. African safari holidays in Tanzania can be combined with a beach extension in Zanzibar. Other popular beach destinations are Pemba Island, Mafia Island and Pangani. Climbing Mount Kilimanjaro is also popular with those taking an African safari vacation in Tanzania. Uganda is a great destination to experience wildlife viewing in both forest and savannah. The country is home to more than half of the world’s population of mountain gorillas – about 300 animals. Mountain gorillas can be seen in Bwindi and chimps in Kibale Forest. Queen Elizabeth National Park and Murchison Falls National Park offer wonderful savannah safaris with good wildlife viewing, but animals are not as abundant compared to the top parks of Kenya and Tanzania. This southern Africa country is the leader in low-impact upmarket tourism. This eco-friendly approach promotes a true wilderness African safari experience. The beauty of the evergreen jewel of the Okavanga Delta is best discovered by mokoro canoe while abundant wildlife can be seen in Chobe National Park and Moremi National Reserve. Botswana also offers beautiful and diverse scenery of savanna grasslands, dry deserts, saltpans and delta waterways. The downside is that African safari holidays in Botswana are expensive with few budget options. South Africa is a great destination for a varied African safari vacation. The country offers fantastic game viewing, beautiful beaches and trendy cities. Kruger National Park is its flagship park with many self-drive and budget options and all of the Big Five animals are easily seen. South Africa has a wide variety of habitats and scenery with good infrastructure and shops. However, African safari holidays in South Africa have less wilderness appeal and the wildlife parks are fenced. Namibia has good infrastructure and excellent self-drive safari options. The country is characterised by desert habitat. This harsh environment forms a magnificent backdrop for a different kind of safari. Animal populations are smaller, but sightings tend to be rewarding. Not to be missed is Etosha National Park, famous for its animal-packed waterholes and abundant predators. The Caprivi Strip (newly renamed as the Zambezi Region) is home to diverse wildlife reserves and incredible bird watching. Namibia has highly photogenic scenery and colours, vast undeveloped areas, low population and a long coastline with marine animals, like seal colonies. African safari holidays in Namibia offer both high-end and budget safaris. A safari in Zambia is not about ticking off the Big-Five (African lion, leopard, elephant, buffalo and rhino). High quality guides share their knowledge on game drives, night drives and walking safaris. You get to see Victoria Falls, the largest uninterrupted sheet of falling water in the world, Victoria Falls sits on the border of Zimbabwe and Zambia. A canoeing safari on the Zambezi River is not to be missed by the more adventurous. Safari holidays in Zambia offers good wildlife viewing, true wilderness experience, small eco-friendly bushcamps and low-density tourism. However, there are few other attractions to supplement a safari. Because of the political situation in Zimbabwe, tourists are few and prices are competitive, but the main wildlife parks are still cared for and well worth visiting. Hwange National Park is not to be missed and Mana Pools National Park offers great canoeing safaris on the Zambezi River. Visitors get to see Victoria Falls. Other activities to engage in during an African safari holiday in Zimbabwe include bird watching, river cruses, canoe adventures and walking safaris. There are all inclusive african safari vacation packages to these and other destinations. Visit this page for more information. You can also submit an inquiry for a tailor-made holiday.